The unique history of Texas includes the stories of hundreds of noteworthy women who broke down barriers to help make our state great. As teachers of history, we need your help to ensure the next generation understands the importance of their contributions so they can build on their accomplishments in the future. At TSHA, we thank you for your help in imparting this knowledge to your students. You have an opportunity to tell the many stories from Texas women’s history to our state’s youth. As a part of our Handbook of Texas Women Project, we collected our best content and relevant lesson plans into a bundle available for you to download. We will be adding to this content throughout the life of this project with the help of our members and educators like you. Follow the link below to download the FREE bundle today and let us know if you would like to contribute to the project. 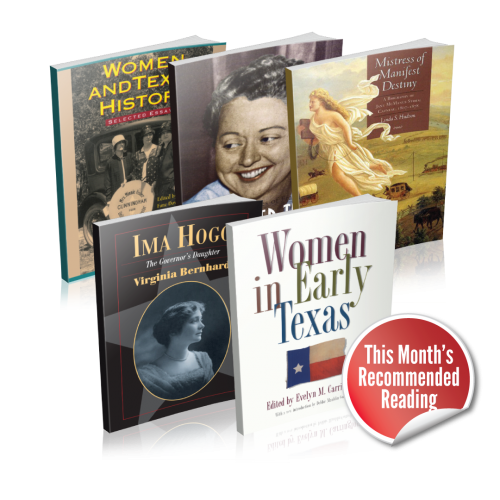 Lesson plans specifically relating to the important individuals, movements, and eras of Texas women’s history. Information on Texas History Day teacher workshops that satisfy your continuing professional education credits. Links to articles from the Texas Almanac focusing on some of the most influential women from our state’s past. A recommended reading list featuring a selection of the best non-fiction books about Texas women. A curated selection of articles from the Southwestern Historical Quarterly, the premier scholarly journal on Texas history.